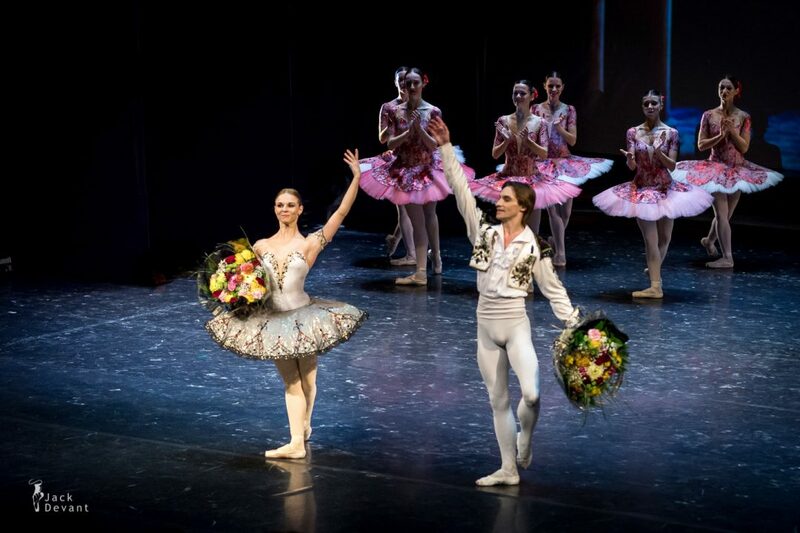 Elizaveta Cheprasova as Paquita and Viktor Ishchuk as Lucien d’Hervilly (both with National Ballet of Ukraine) and Maribor Ballet in Paquita Pas Grand Pas Classique. Music by Ludwig Minkus, choreography by Marius Petipa. Elizaveta Cheprasova (Ukr. ЧЕПРАСОВА Єлизавета) is a soloist in Kiev Ballet, National Opera of Ukraine named after Taras Shevchenko. 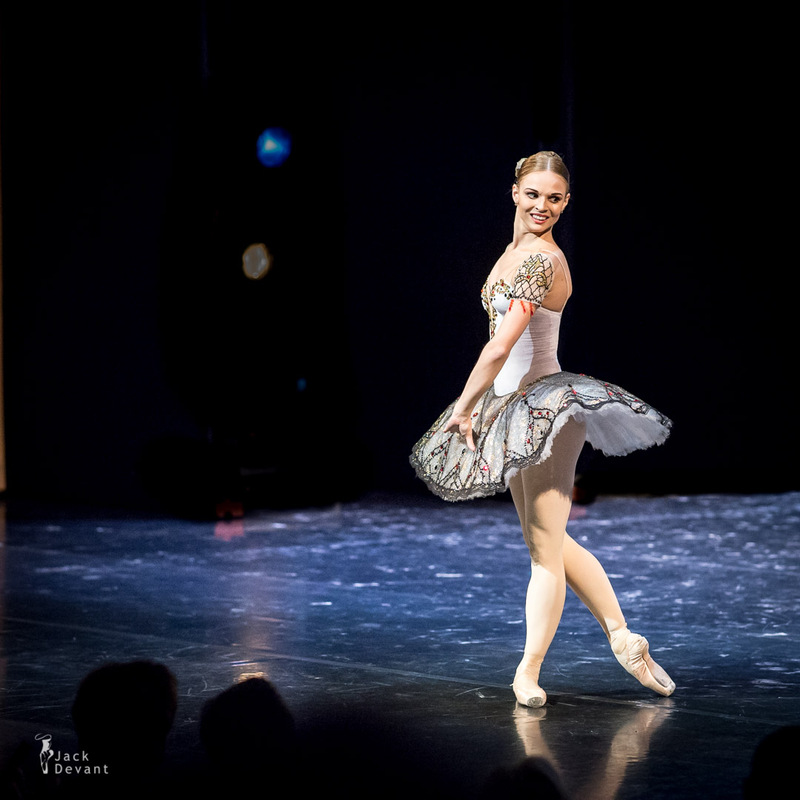 Elizaveta studied at Kiev State Ballet School and in 2006 graduated from the Academy of Russian Ballet. Vaganova (St. Petersburg). From 2007 to 2012 she was a soloist of Mariinsky Theatre (St. Petersburg) in 2012 – the National Opera of Ukraine named after Taras Shevchenko. Viktor Ishchuk (Ukr. ІЩУК Віктор) is a soloist with National Ballet of Ukraine named after Taras Shevchenko. 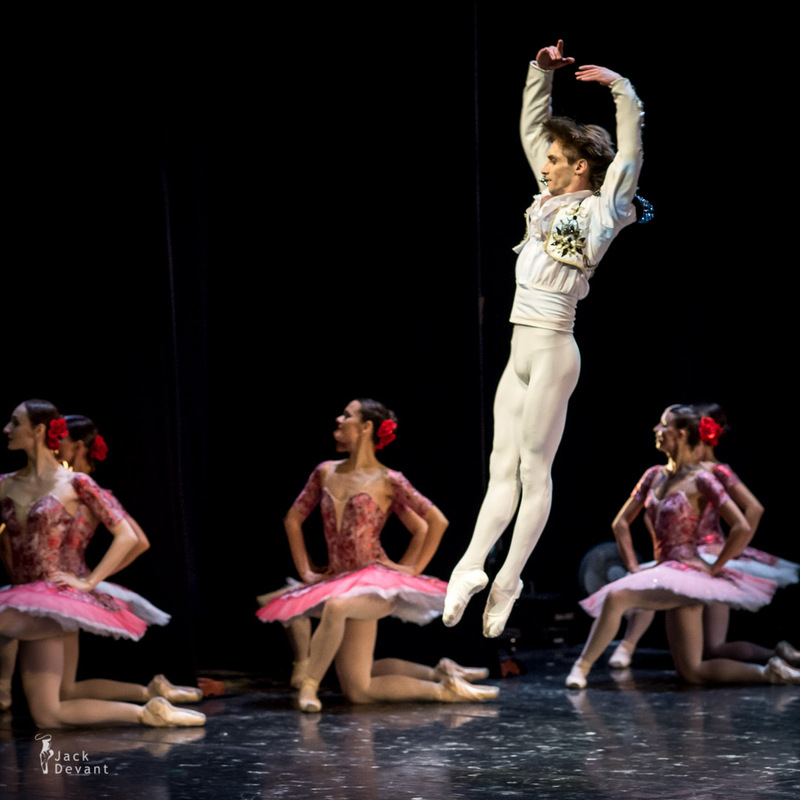 Paquita is a ballet in two acts and three scenes, with libretto by Joseph Mazilier and Paul Foucher. Originally choreographed by Joseph Mazilier to the music of Edouard Deldevez. First presented by at the Salle Le Peletier by the Paris Opera Ballet on 1 April 1846. The work was retained in the repertory of the Opéra until 1851. In 1847, Paquita was staged for the first time in Russia for the Imperial Ballet of St. Petersburg by Marius Petipa and Pierre-Frédéric Malavergne, being the first work ever staged by Petipa in Russia. In 1881 Petipa produced a revival of the ballet for which he added new pieces specially composed by Ludwig Minkus. This included the Pas de trois (a.k.a. the Minkus Pas de trois or Paquita Pas de trois) for the first act, and the Paquita Grand pas classique and the Mazurka des enfants (Children’s mazurka) for the last act. Petipa’s version of Paquita was retained in the repertory of the Mariinsky Theatre until 1926. Marius Petipa’s 1881 additions for Paquita survived long after the full-length ballet left the stage. Today these pieces, particularly the Pas Grand pas classique, are major cornerstones of the traditional classical ballet repertory, and have been staged by ballet companies throughout the world. Photos by Jack Devant © with kind permission of the Savcor Ballet, special thanks to Sofia Rekola.